Venue: Paintbox Gallery Studio, Gateway Village Wodonga. Brief Bio of Julie Goldspink. AWI -AGRA Visual Artist. 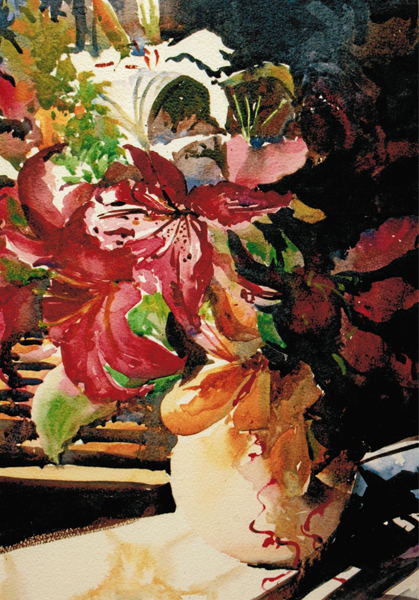 Julie is known mainly for her beautiful Watercolours on paper, W/C canvas and Yupo paper. Julie also works with Oil, Acrylic, Pastel and Mixed Media. 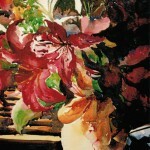 The predominant subjects she covers are landscapes, seascapes, river scapes, street scenes, flowers and still life. Classed as a Realist/Impressionist, water-colourist she uses wet into wet technique. 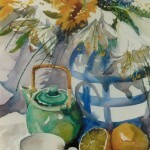 With Oils, her style is more Realistic using the traditional methods. Julie uses a mixture of both techniques when applying Acrylic paint. A skilled draft person, drawing has always been a constant, as it forms the bones of all artworks. 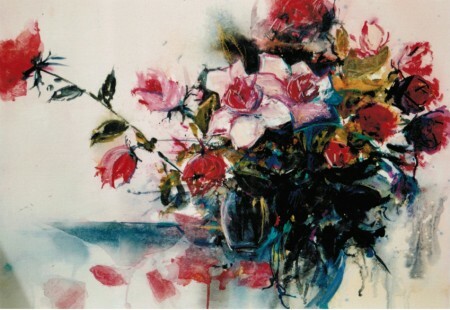 Julie has held Solo and Shared Exhibitions in Sydney, Melbourne and country NSW. Julie is a respected and sought after artist and tutor who holds many Workshops, Demonstrations and Classes in Victoria and throughout Australia. She is a member of the Watercolour Society of Victoria, Pastel Society of Victoria, Sherbrooke Art Society, Malvern Art Society, Berwick Art Society and McClelland Guild of Artists Inc.
After the workshop last year, which had the theme of water, members elected to continue with a themed approach to workshops. They felt that this made the workshop more interesting and provide a focused learning for participants. 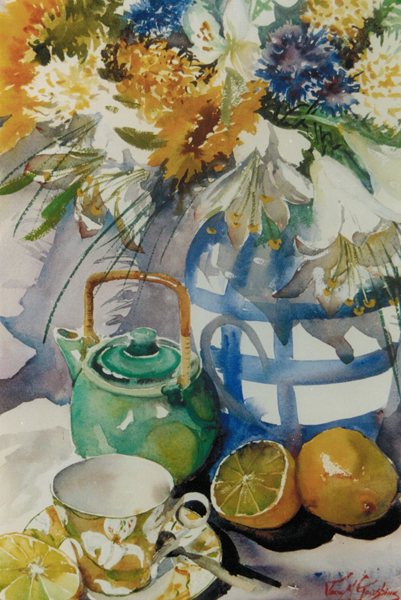 There was strong interest in pursuing “Still Life “as a theme. Julie has a vibrant personality and is a generous teacher. Examples of Julie’s still life.